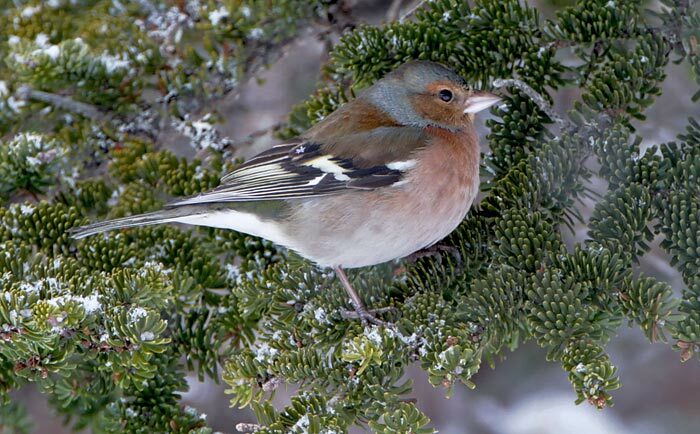 This Common Chaffinch showed up in Freshwater, Placentia Bay in early February 2011 – the third record of this very rare bird for Newfoundland. Despite questions of provenance for all records in the rest of North America, our proximity to Europe and the regular vagrancy of this species to Iceland makes a strong case for these being wild birds. Origins: One of the most abundant songbirds of Europe. 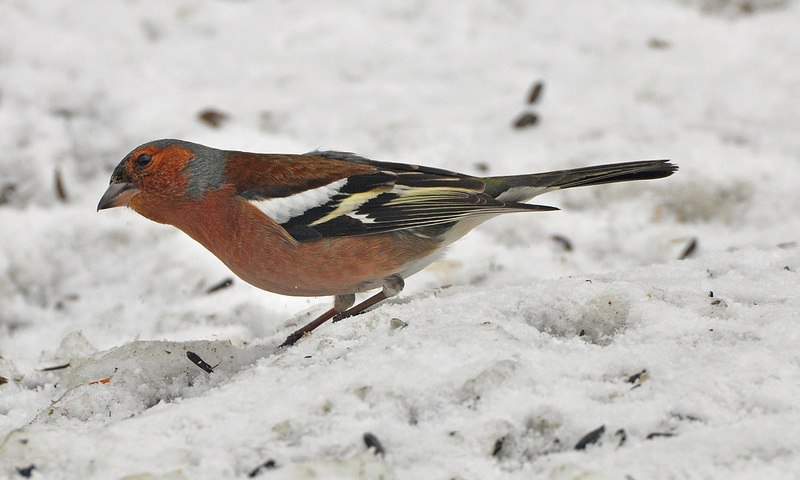 While it does not breed in Iceland, it represent one of the most regular vagrants from mainland Europe. Record Details: Four records for Newfoundland – all presumed to be of wild origin: (1) St. John’s, Feb 25, 1967; (2) Middle Cove, May 21, 1994; (3) Freshwater (Placentia Bay), February 3 – mid-April, 2011; and (4) Corner Brook ~February 25 – April 15, 2013. This male Common Chaffinch was first reported in Corner Brook on March 16, but had apparently been visiting the backyard for several weeks. This marks a fourth record for Newfoundland!